Meaning 'small chicken skewers' in Portuguese, these espetinhos de frango from Marcello Tully are a prime example of how easy it is to cook delicious Brazilian flavours at home. 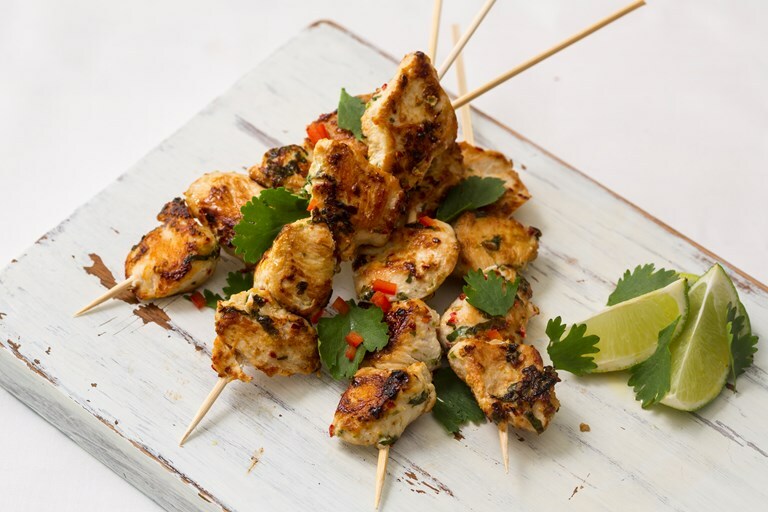 With zesty lime, fragrant coriander and a little fiery chilli, these chicken skewers are perfect for a summer barbecue. Adjust the heat to taste with more or less chilli as you like.